Karen Gallman of the Philippines recently became the first Filipina to win Miss Intercontinental. The pageant took place in the Philippines and she was always among the favorites to take the crown. 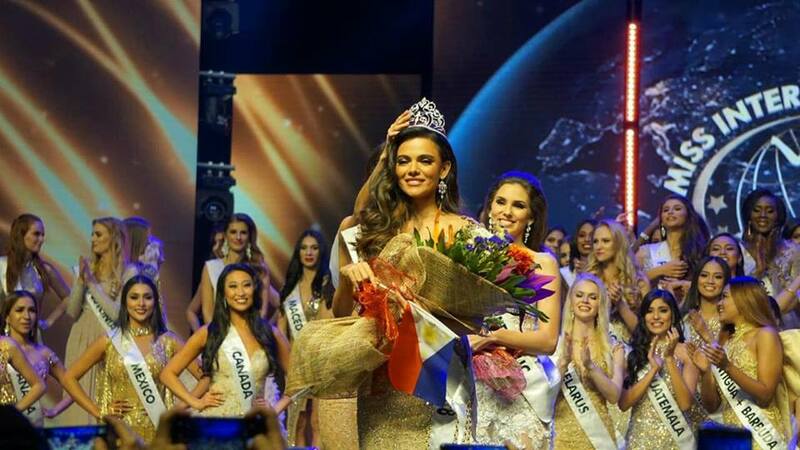 The beauty queen, who is of Filipino and Australian descent, bested numerous global contenders including Costa Rica's Adriana Allvarado and Slovakian beauty Laura Longauerova - who placed first and second runner-up. Colombia, Vietnam and Ethiopia rounded out the Top 6. 87 women competed for the title. "It means a lot to me. This is the first time the Philippines has won Miss Intercontinental so I am very happy I could do this for the Philippines. I am speechless. I can't stop smiling. I am just so grateful," she said in an interview, following her coronation at the Mall of Asia Arena. Gallman gave a winning answer during the Q&A segment, which asked her to define success. She responded, "For me, success is not just about winning in life but setting goals, smaller goals, and achieving your dreams and working hard for everything you want, and always looking up to God and being thankful for everything. For me, that is success." GB comment: The Philippines did a great job as a host country and the winner deserves her victory. Well done!